This portrait of L.S. ‘Jake’ Jacobson by Wanda Mitchell Tucker shows his never-give-up attitude. When she first saw the larger-than-life painting hanging in the bank in Kearny, the teenager immediately identified with the facial expression of the man in it. Wearing his usual “uniform” of jeans, a vest and with his shirt sleeves rolled up to his elbows, his face showed a determination that said, “I don’t give up.” One hand was on a hip while the other gripped a shovel. 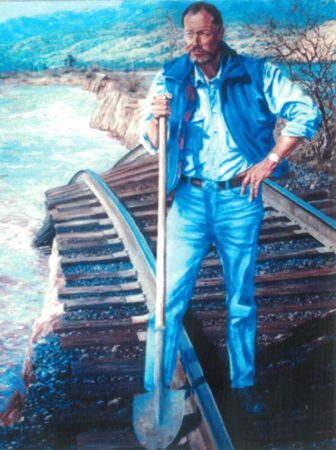 He stood on a section of railroad track that curved behind him into a flooded riverbed. The man was L.S. “Jake” Jacobson, President and COO of Copper Basin Railway. The young 15 year-old girl was Stephani Yesenski, who had recently been diagnosed with cancer, a disease she would battle with the same “I-don’t-give-up” attitude that Jake showed in the painting by Wanda Mitchell-Tucker. She told her aunt and guardian, Jackie Mann of Riverside, that she wanted to meet Jake. Jackie called Loretta Flores, Jake’s then secretary, relaying Stephani’s request and a meeting was held. From that meeting a very special friendship grew and became the impetus for the name of the recently dedicated Unity Bridge over the Gila River at Riverside. 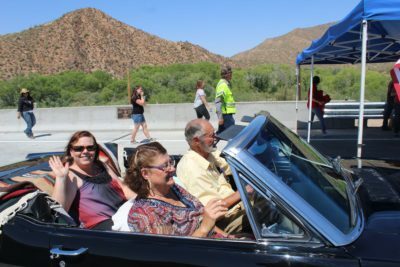 Built by Pinal County, it was officially dedicated earlier this year. Jake Bridge of Unity. Riding with him are Jackie Mann and Marcy Bryce-Mullin, Stephani’s best friend. 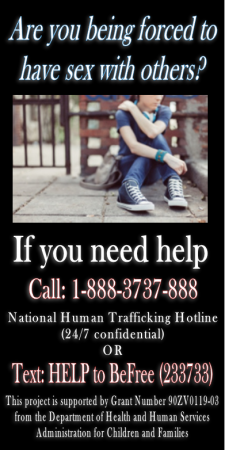 Stephani’s story is not unique to the Copper Basin area. She lived five years after her cancer was diagnosed, dying on Dec. 31, 1999, just two days after her 20th birthday. The Copper Basin area has always risen above the occasion to help those in need of financial help in dealing with health crises. How many softball and golf tournaments, food sales and special fund raisers have we not only supported, but helped organize? And remember those who volunteered their time and talents to do fundraisers. How many donations have we or local organizations, groups and individuals made to help furnish meals and presents for Thanksgiving and Christmas? Many of those aided were children, some adults, but all were “family” to residents of these mining communities. The Toll for the Bridge of Unity. This is the time of year we think of the good deeds from those who have helped us in various ways, as well as the good deeds we have done and can do to help someone else. Some in the form of financial help, but sometimes special compassionate ideas like a ride to the doctor, a visit, a special treat, running errands, watching the kids so a mom can have a few moments of rest or taking a meal to someone, mean as much or more than financial help. While physical needs are what usually come to mind because they are easy to identify, there are times when the emotional, spiritual and psychological needs are as pressing as the physical ones. Stephani’s guardian and aunt, Jackie Mann remembers all those who helped raise money and wrote letters, especially members of the Veterans of Foreign Wars (VFW). Jake recalls all the work from everyone who helped. That’s why the bridge was given the name Unity Bridge. “I saw how people from different faiths, different ethnicities, labor and management, companies and unions and varied political leanings stood side by side, as well as Sen. John McCain, US Rep. J.D. Hayworth, State Senator Barbie McGuire who helped where they could to push the government to get things done,” Jake said. Added to all that was the personality of Stephani herself and her willingness to help others. She persisted and didn’t give up, even when treatment put her in a three-day coma that threatened her life. Jackie also recalls the transportation furnished by Asarco and the doctor who helped run interference with the insurance company so Stephani could go to Houston for treatment. “The treatment had been approved by the insurance company, but I kept getting the bills from the insurance company who wouldn’t pay them. I didn’t know what to do,” Jackie said. Finally she called then Sen. Pete Rios who set up a conference call with Jackie, himself, the Arizona Insurance Inspector and the insurance company. “The Insurance Inspector told the insurance company that they were contractually obligated to pay the bills, and that if they didn’t, he would see to it that the company wouldn’t be able to sell insurance in the state for the next 25 years,” she recalled. Jake remembers Stephani as being shy and selfless, but willing to have the experimental treatments if what she went through could help someone else – even if it didn’t help her. 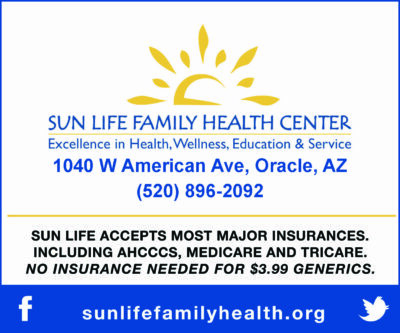 Stephani did graduate from high school and even took some Central Arizona College classes. One of the things she participated in at Ray High School was track. She ran the hurdles. She was coached by Michael Smith and Ramon Rubalcaba. Smith recalls,”She was serious about her performance and dedicated to doing her best. Eventually she had to stop because of her health, but she did win two medals as a competitor. 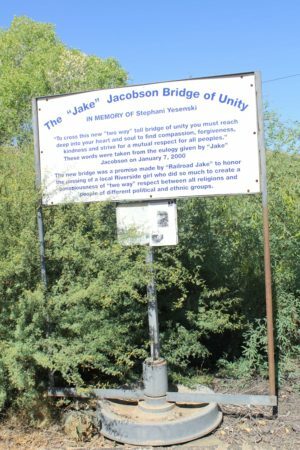 At Stephani’s funeral, Jake promised the bridge of Unity would be completed in Stephani’s name.